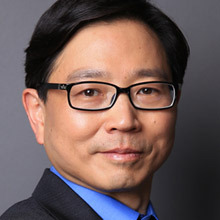 Chen Zhang is JD.com’s CTO, overseeing the company’s R&D capabilities with a focus on addressing the ecommerce industry’s biggest technological challenges. At JD.com, Chen also leads the company’s programs to develop innovative and cutting-edge technologies, its external collaboration programs, and its development of international talent. Under Chen’s leadership, JD has vastly improved its technical capabilities in the areas of big data, cloud computing, smart logistics, AI and other advanced technologies to drive new business growth. Chen has helped develop a highly team-oriented and transparent technology culture within the company. Prior to joining JD, Chen worked at Yahoo for 18 years, both in the US and China. He launched and headed the Yahoo Beijing Global Research and Development Center in 2009. Chen has over 20 years of experience in software development and management. He earned his Master’s Degree in Computer Science from Indiana University Bloomington.